If I had to choose a product to take with me on a deserted island it would have to be mascara. I think eyelashes make a huge difference to the makeup look, so for me mascara is one of the most important products in your makeup bag. Along with foundation, these two are always worth splurging on if the effects are meeting and exceeding expectations. I was introduce to Arbonne by Rachel Montague-Ebbs (check out her Instagram here!) and she kindly sent me this mascara along with a few skincare goodies to sample and get familiar with the brand. I was really excited to trial the mascara because it's such a favourite product of mine. 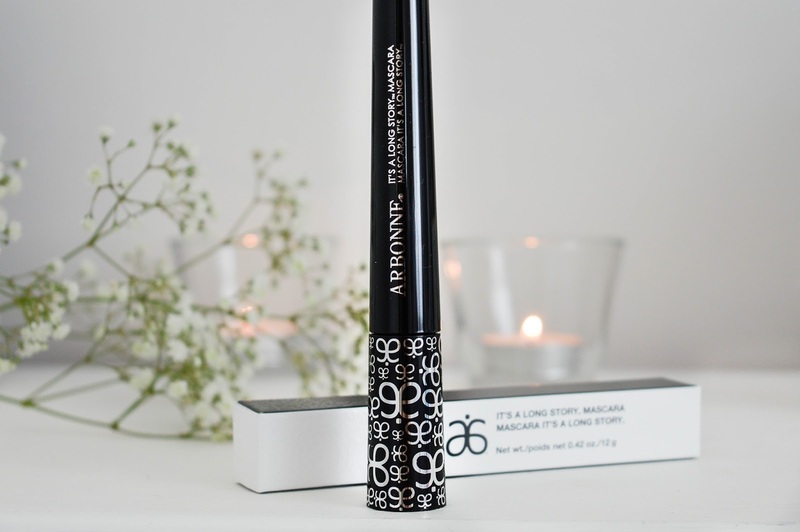 It's A Long Story mascara promises to create the look of longer and fuller lashes, whilst keeping lashes in great shape with the added vitamins and extracts like bamboo and pea which condition the lashes. 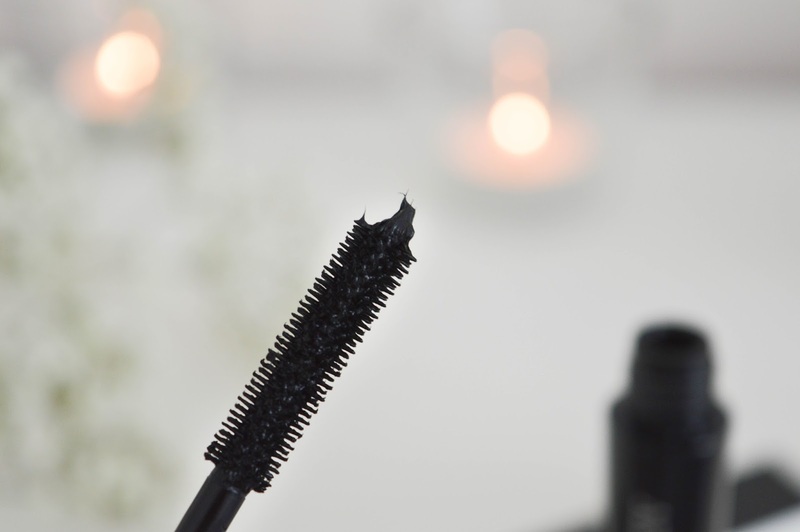 I loved the look of the mascara - it comes in a tube which is handy to stand on your dressing table; and the bristles on the brushes really help separate your lashes to make sure all of them are coated. I've been using the mascara for over a month now and I'm really happy with the results - my eyelashes have grown back stronger after I picked some of them to get rid of eyelash extensions, and the mascara delivers as promised! One coat will give you gorgeous longer looking lashes for everyday wear, or you can layer it for a more dramatic night time look. What do you think? How much are you willing to spend on makeup and are there products which you would splurge on vs bargain products? The beginning of Blue mercury revolutionized the actual makeup business through allowing the first pleasant community beauty store enabling you to get professional honest guidance, all of us maintain a world class luxury product assortment, along with a laser focused property strategy along with a leading edge hr design http://nypost.com/2017/03/20/macys-owned-beauty-chain-grows-as-other-outlets-struggle/…. First and foremost thing that this oil does is that it reduces the hair fall completely. Aloe Veda Distil Brahmi Hair and Scalp Vitaliser is arguably rich in nutrients. Hair growth product vitalises your scalp and helps you to get rid of dry or itchy skin as well as dandruff.